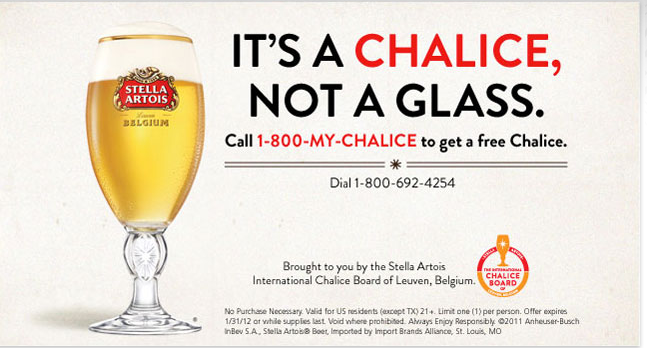 If you've got some extra time today, get a free Stella "chalice" (not a glass). The line is often busy (invest in a waiting hotline, Stella!) 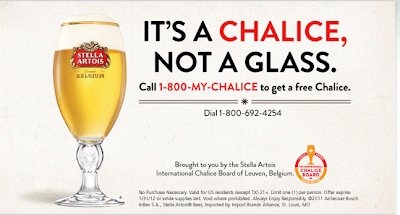 but according to Hey It's Free it only took him a couple tried to break through to a rep.
Stella is one of my favorite beers and brands, and I love their chalices (glasses!) Since a roommate broke my first one, and then my boyfriend broke my second when he was drunk, I'm ready for my third.